Today I’ll be letting you in on my top "go to" restaurants in Toronto! Food is such an important aspect of my life. It's a way to socialize, bond, (re)connect, and explore with others. Here is a curated list of some great places for you and your besties to check out this summer! If you’re looking for a brunch or lunch spot that can cater to all your cravings, then look no further. The Good Fork is a fun and hip restaurant with some of the most friendliest staff I’ve ever met. With a cozy interior and floor to ceiling windows, you’re guaranteed to get that brunch insta post! Their menu is quite extensive with lots of “exxxtra’s” to customize your meal. I love that their product is hormone free and is local, captured above is the Hummus Bowl! This gem is located in the Bloor West Village, right next to the Jane subway station. The Grow Op is a funky, bright, and fun! Weather you’re looking for a casual spot to sit down or a fast place to grab 'nd go, you won’t be disappointed. They have an extensive juice, smoothie, and kombucha menu- you’ll want to try them all! The Grow Op is known for their mountain-like acai bowls which are definitely a must. They also have vegan salads, noodle boxes, and yummy sandwiches! 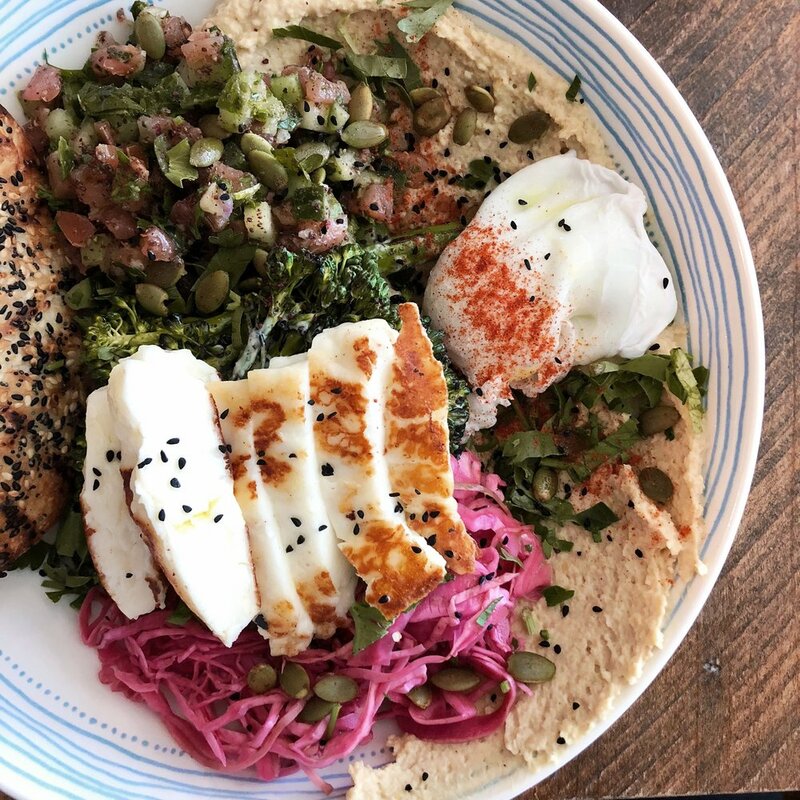 This vegan friendly spot is located at Ossington and Dundas St. West. Wish is always buzzing and it’s no wonder why. With an all white decor and beautiful plating this is an instagrammers dream. While it is on the pricier side, the quality of their items is superb. 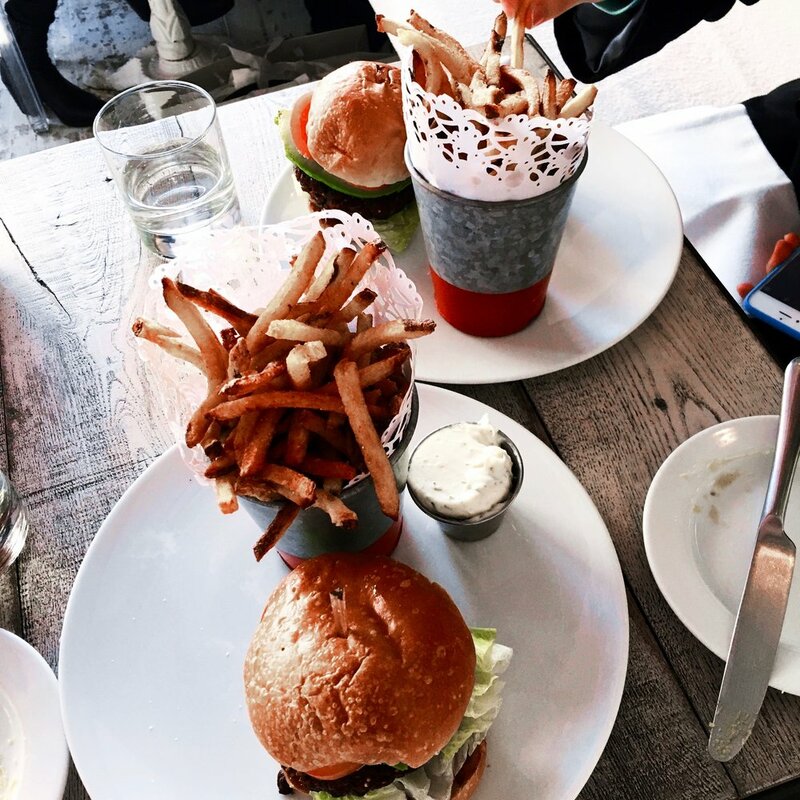 You can't go wrong with a mammoth sized burger and a bucket of fries. Here (photo above) I have the Black Bean Burger, but they cater to pescatarians as well as those without dietary restrictions. This boutique restaurant is located just south of Yorkville on Charles St. East. P.S. it's a great date restaurant! Whether you're meeting for the first time or celebrating an anniversary, I can guarantee this place will set the perfect tone!